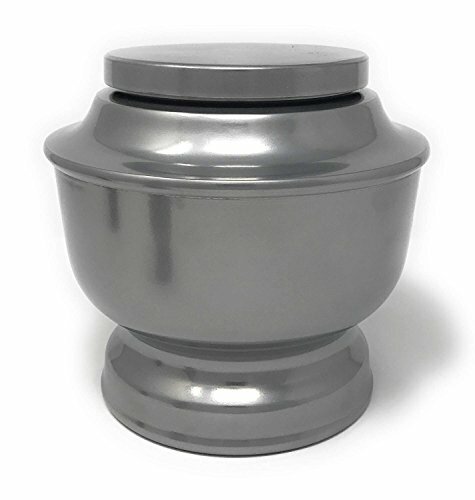 SmartChoice Classic Cremation Urn is a classically shaped urn with a dimensional finish and comes in a velvet bag. This is urn is not only the perfect choice for both traditional and non-traditional tastes but also the perfect choice for everyone because of its forevers beauty, highest quality and %100 AFFORDABLE. We guarantee our customers that they will be %100 satisfied with our quality and products! "Engraving plate is not included "please look out for our exclusive SmartChoice Classic Urn engraving plate Search for "B074Q1FTFK"